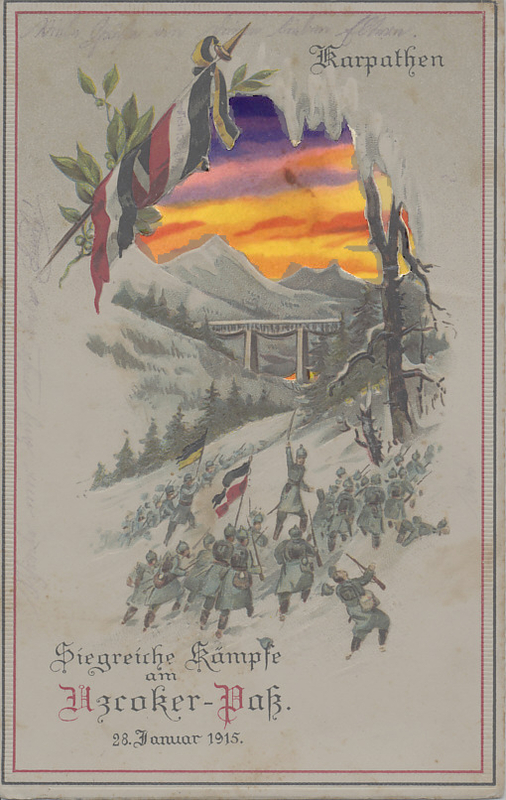 A hold-to-light postcard of the German and Austro-Hungarian victory (shortlived) over the Russians in the Uzroker Pass in the Carpathians on January 28, 1915. 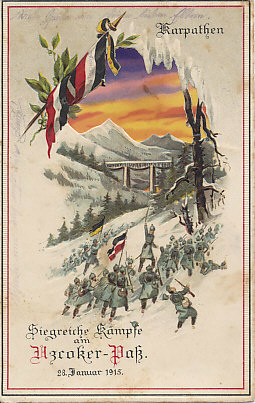 Franz Conrad von Hötzendorf, Chief of the Austro-Hungarian General Staff, launched an offensive with three armies on Janaury 23, including the new Austro-Hungarian Seventh Army under General Karl von Pflanzer-Baltin. 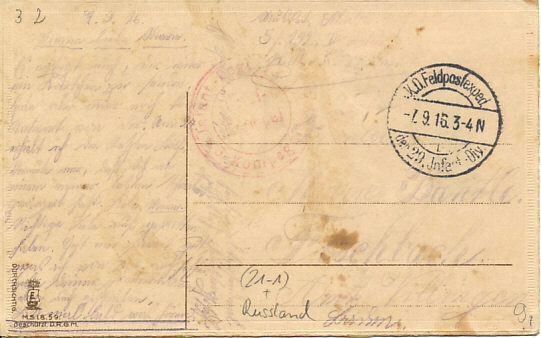 Message dated and field postmarked September 7, 1916, 29th Infantry Division. A mountain range curving around Austria-Hungary's northern border with Russia, to the east and south, through Romania and into Serbia. Within the arc is the great Hungarian plain. The Carpathians separate Galicia from the rest of Austria-Hungary. Both Russia and Austria-Hungary launched offensives in the Carpathian Mountains in the first months of 1915, the Russians in an attempt to break through the mountain passes to the Hungarian plain and capital of Budapest, the Austro-Hungarians in an attempt drive the Russians from the mountains and from Galicia and Bukovina, Austria-Hungary's northeastern provinces. 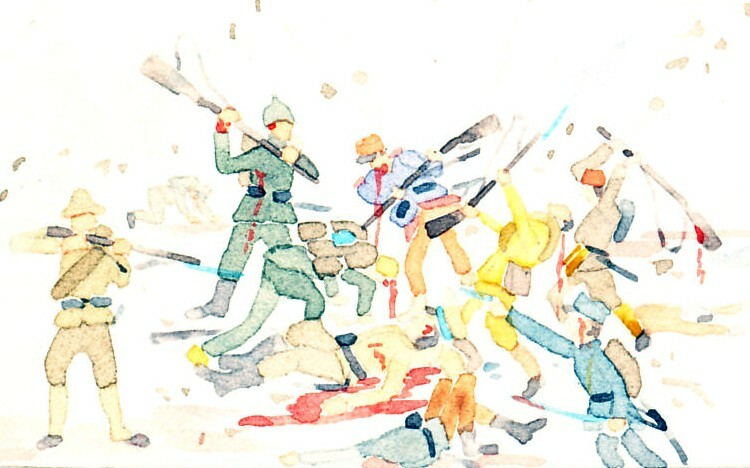 Unable to entrench in frozen ground, under-supplied, repeatedly launching attacks with no hope of advancing, both sides suffered heavy casualties. The Carpathian Mountains is a mountain range in Europe.